I was in a space some time ago where this was the wallpaper in one of the rooms. I've been trying to think of something complimentary to say but I simply cannot. This was on all four walls. If this had been a bedroom, I could not imagine sleeping here. 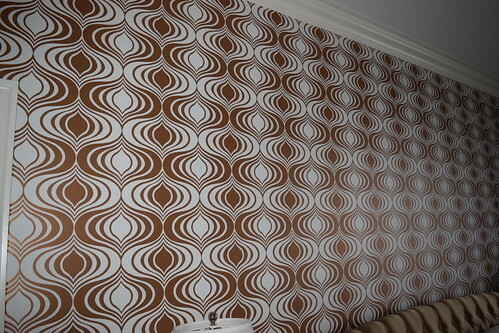 I have no idea of the age of this wallpaper. I just put this out there for you to look at. I see a lot of design which inspires me, but I also see a lot which befuddles me, completely and totally.